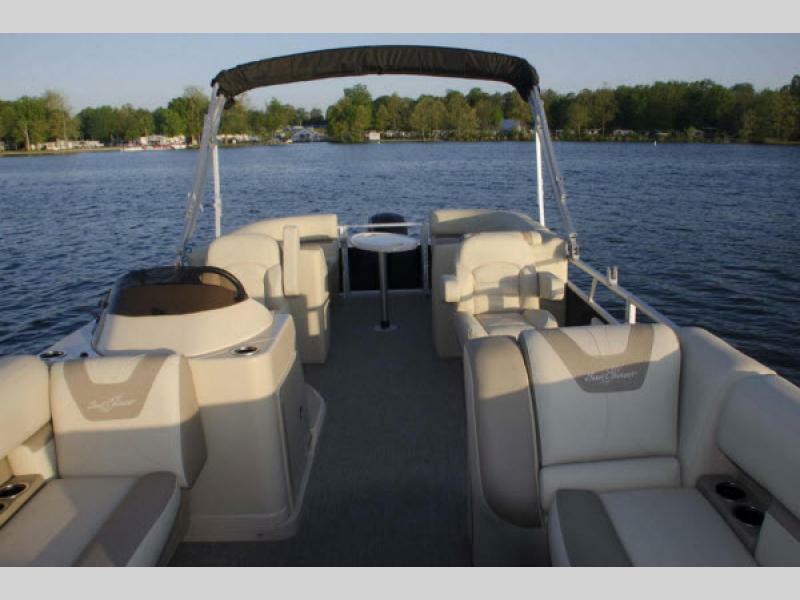 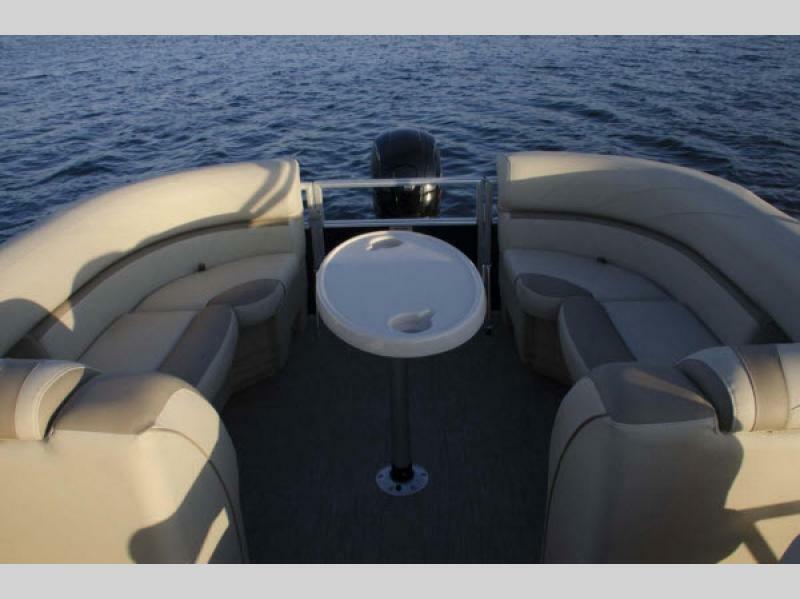 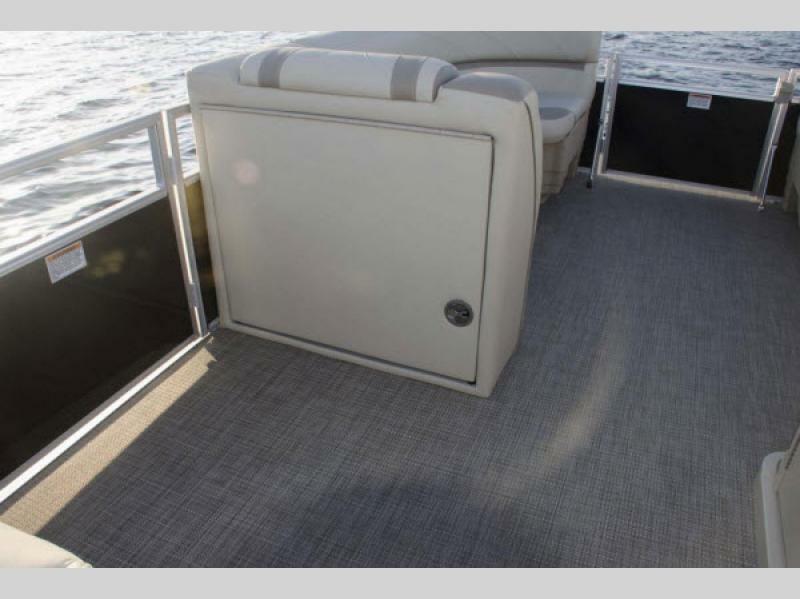 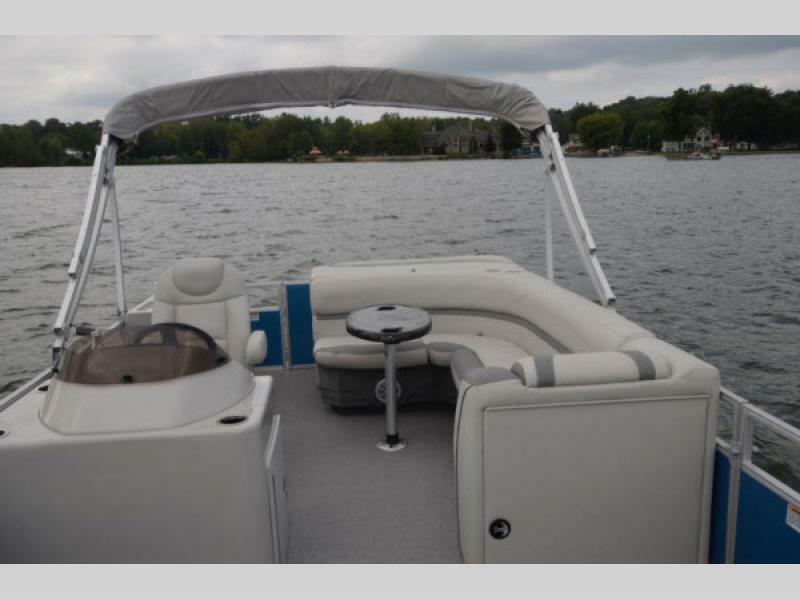 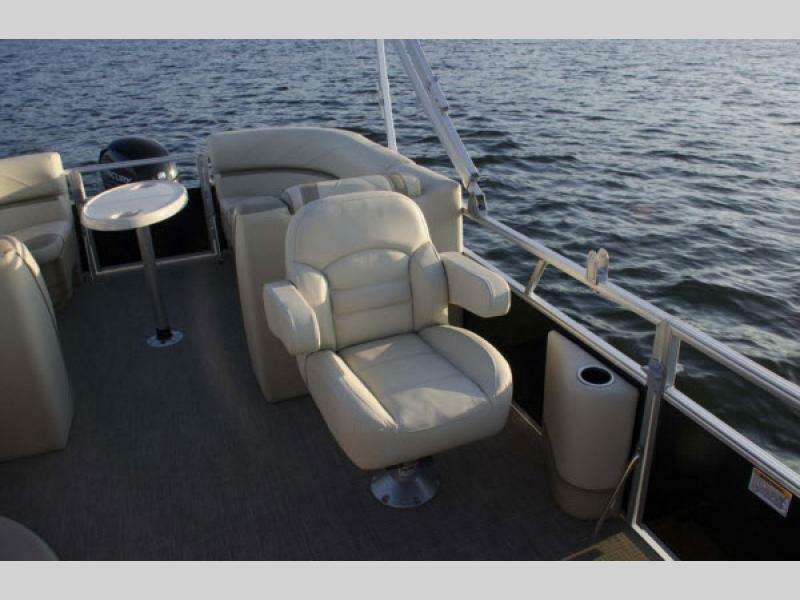 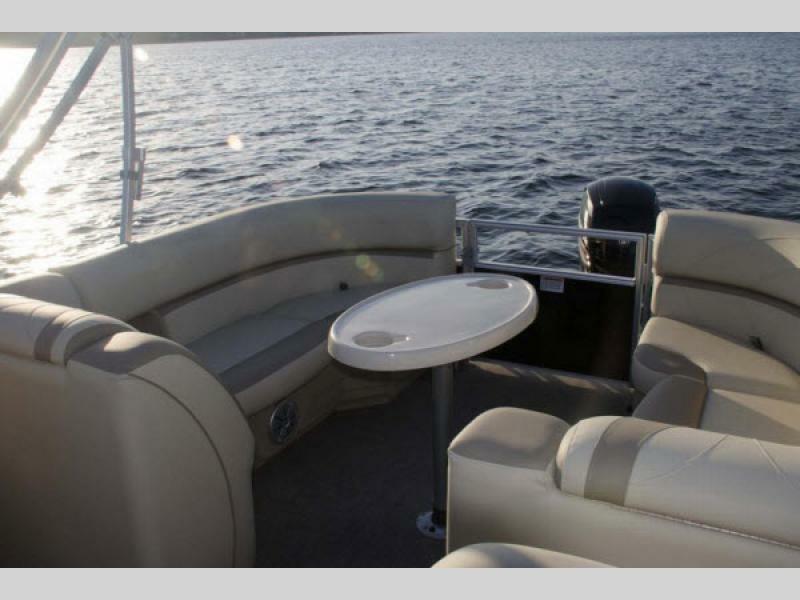 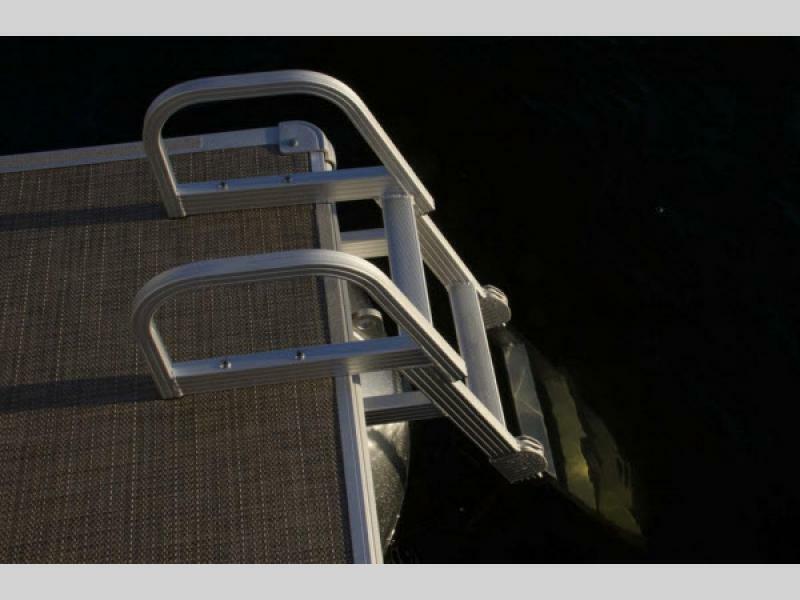 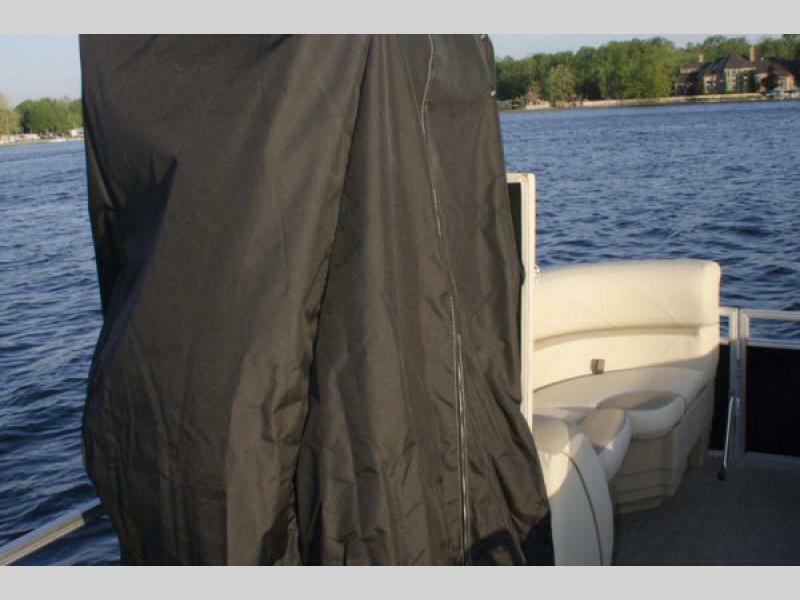 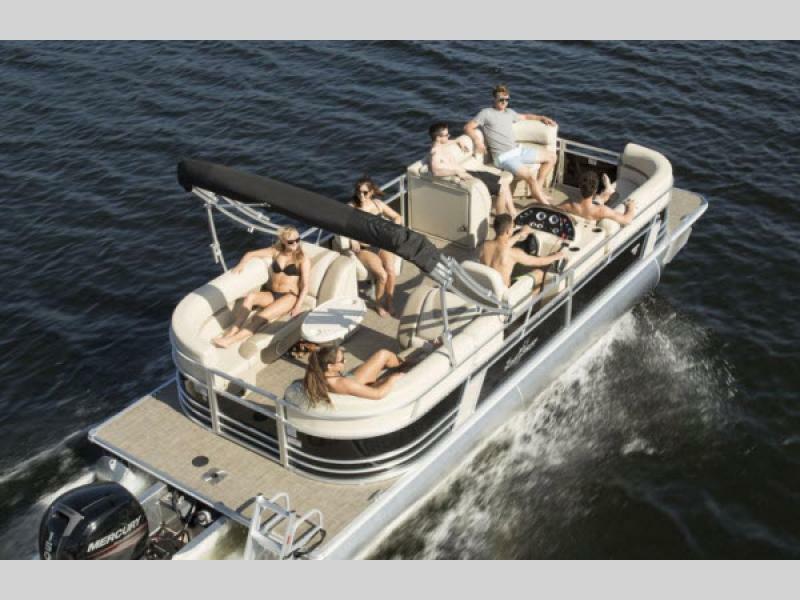 For a superior quality built pontoon come choose a Geneva Cruise by SunChaser. 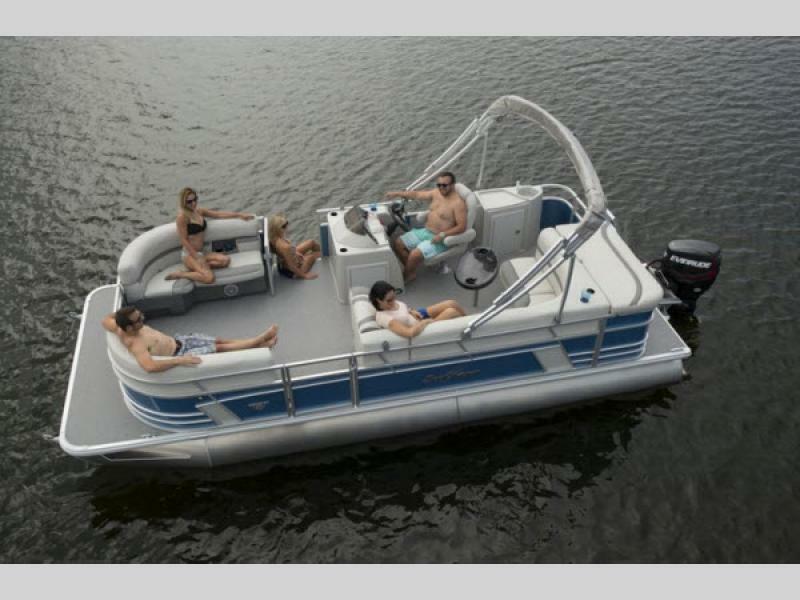 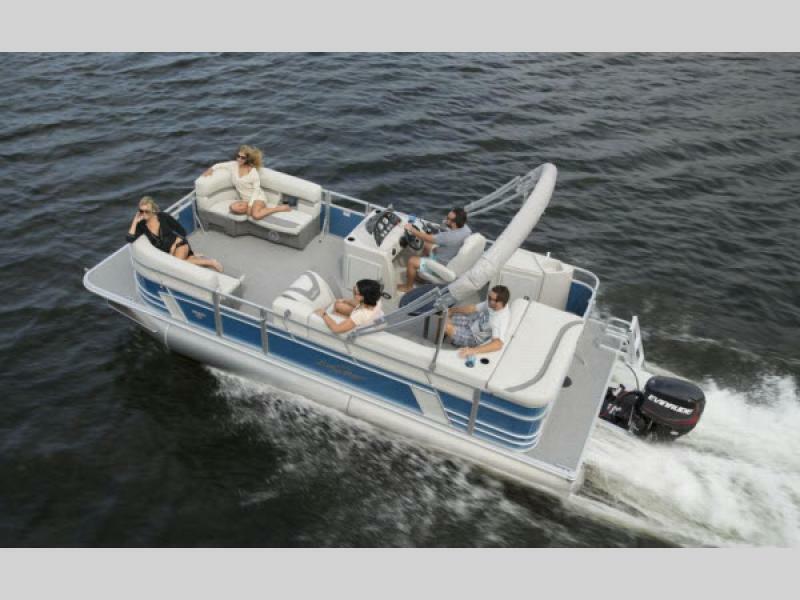 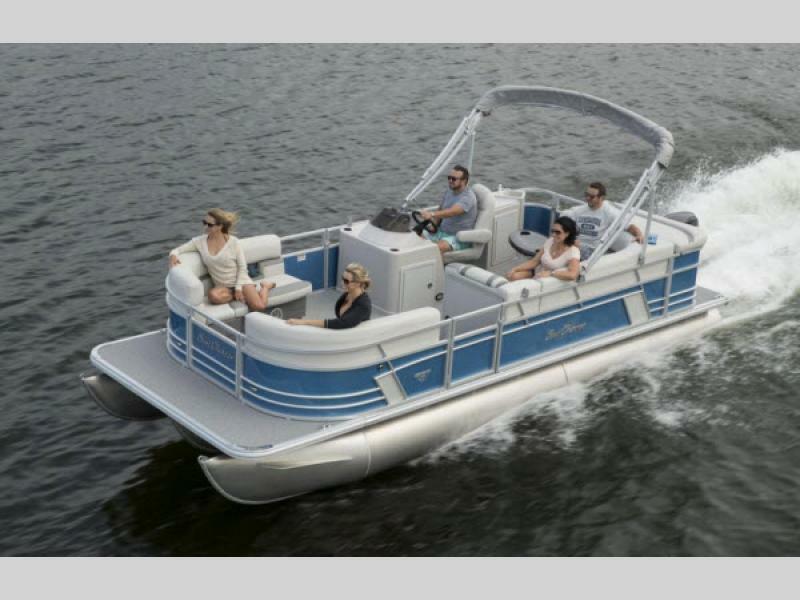 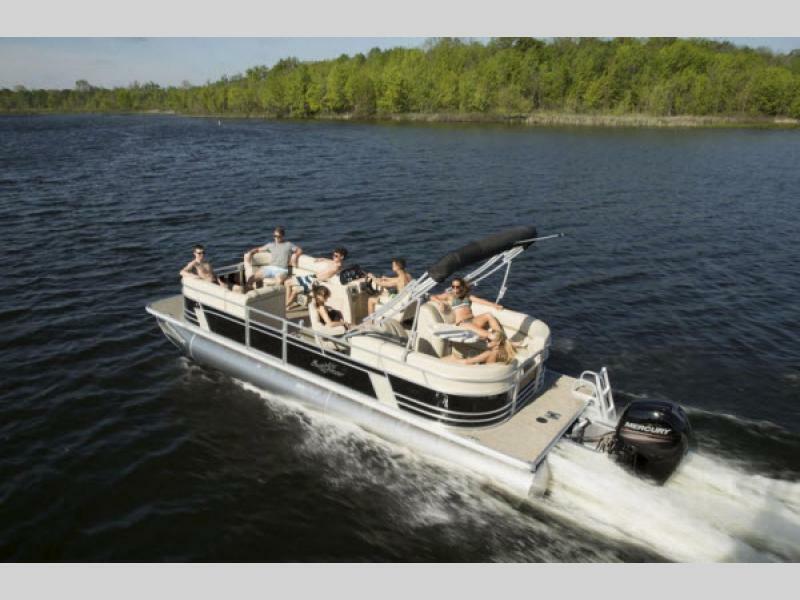 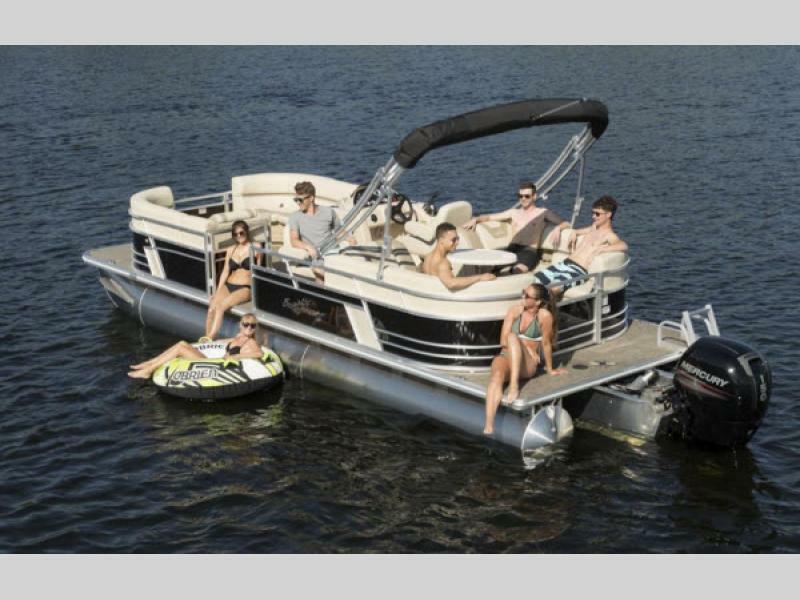 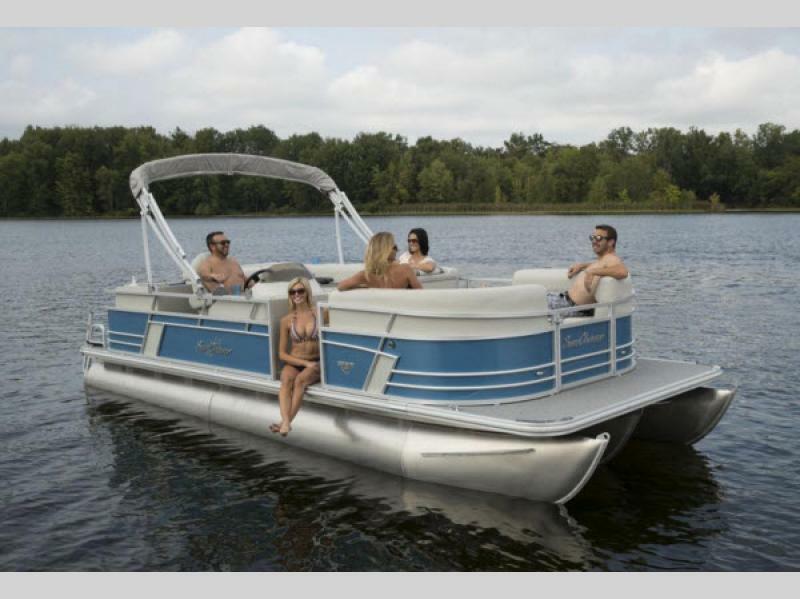 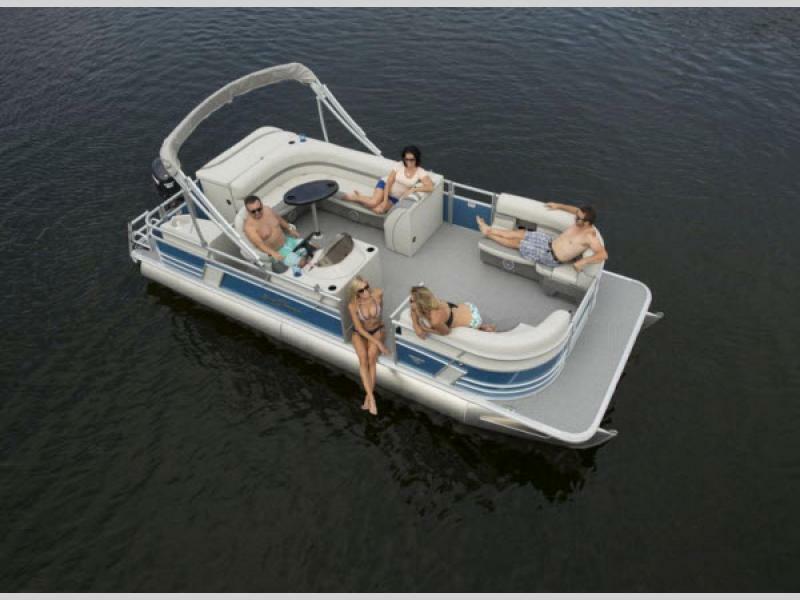 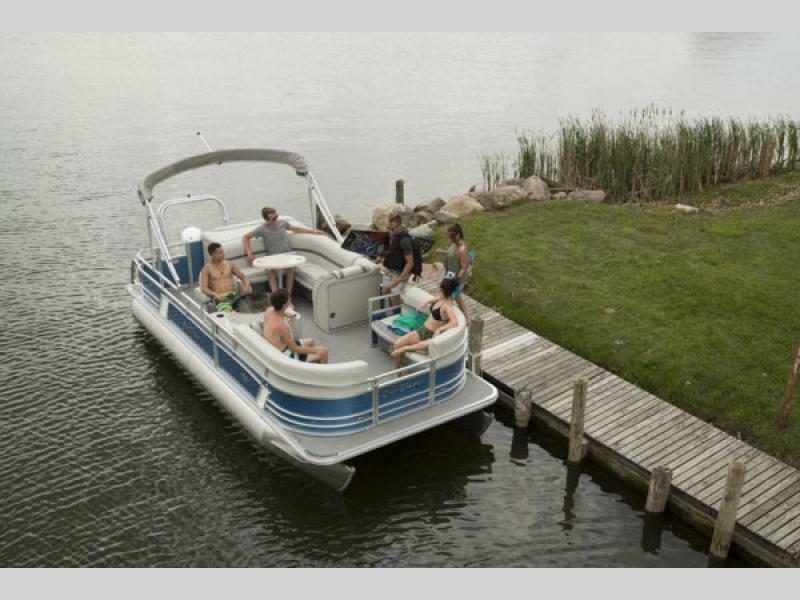 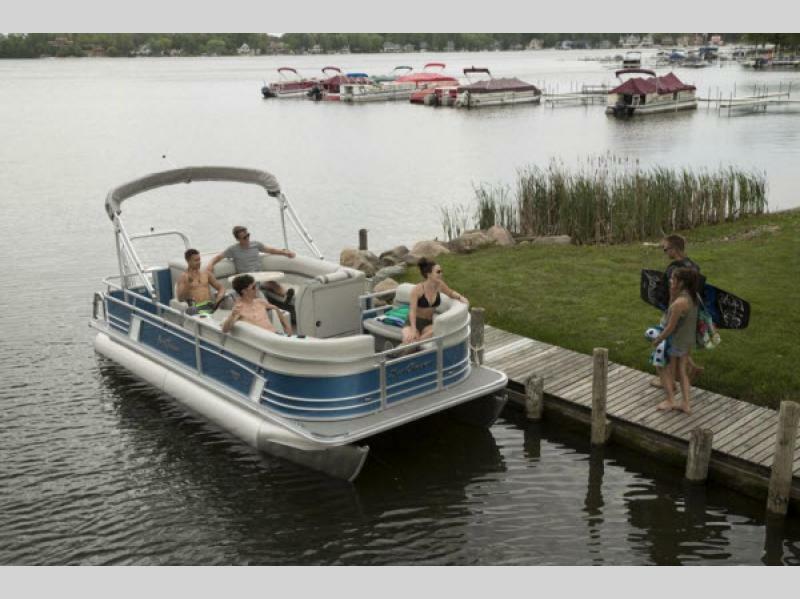 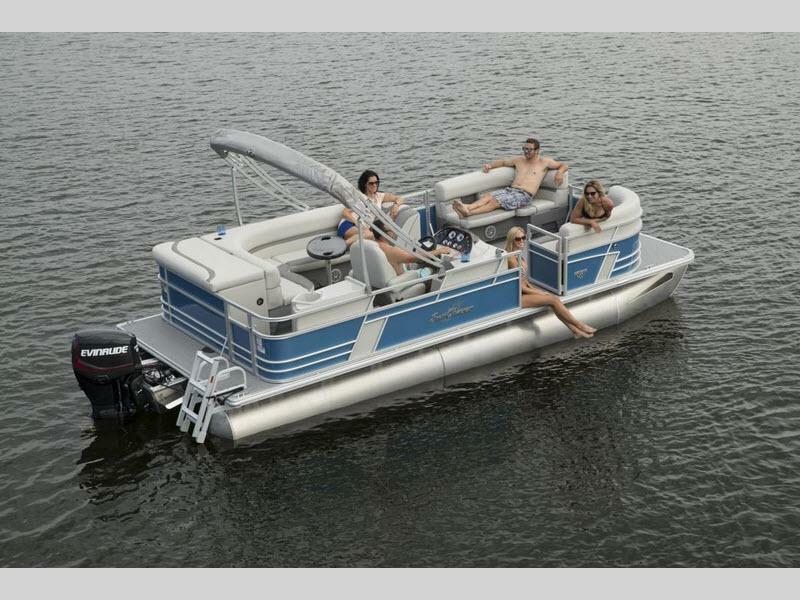 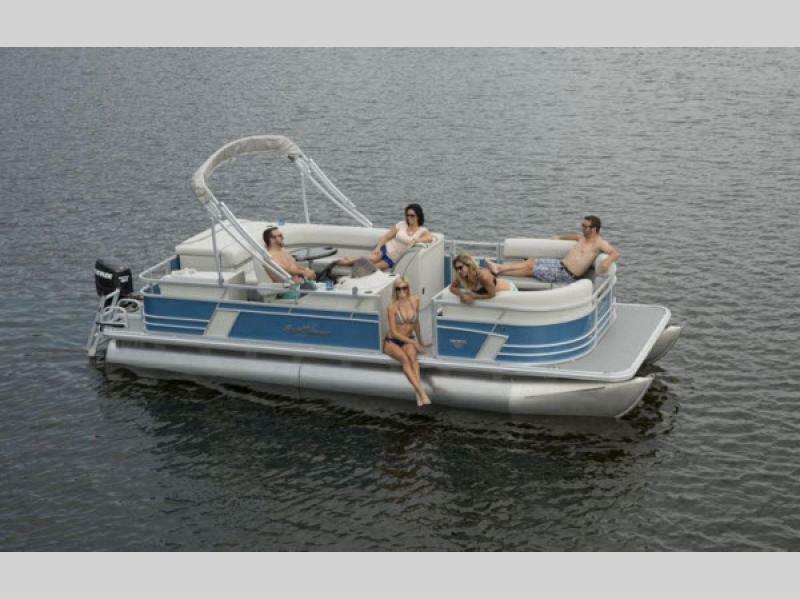 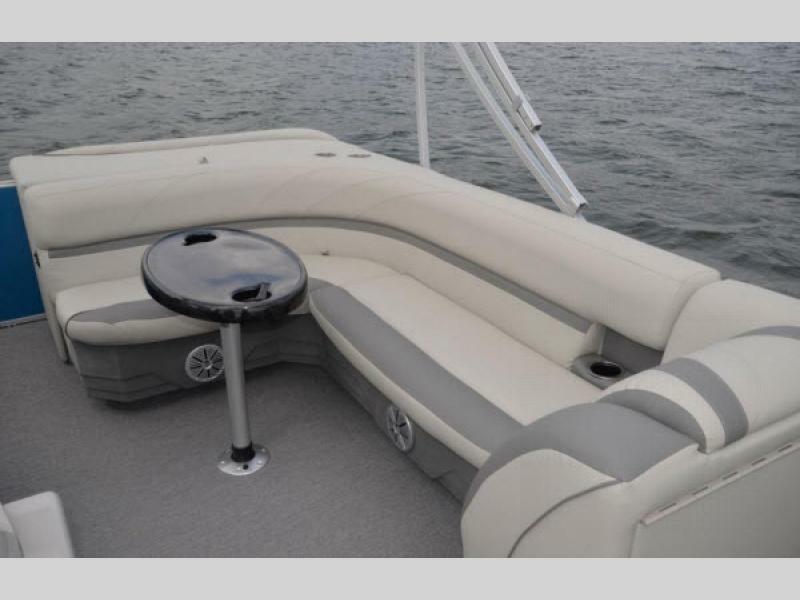 These models can accommodate larger groups so now you can enjoy a day on the water with a few friends. 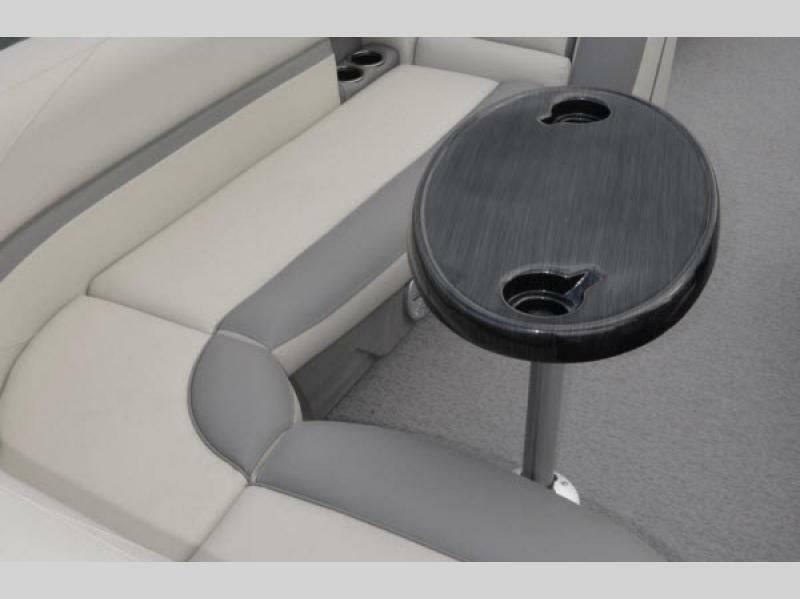 The pedestal table can easily be moved to either the bow or the aft. 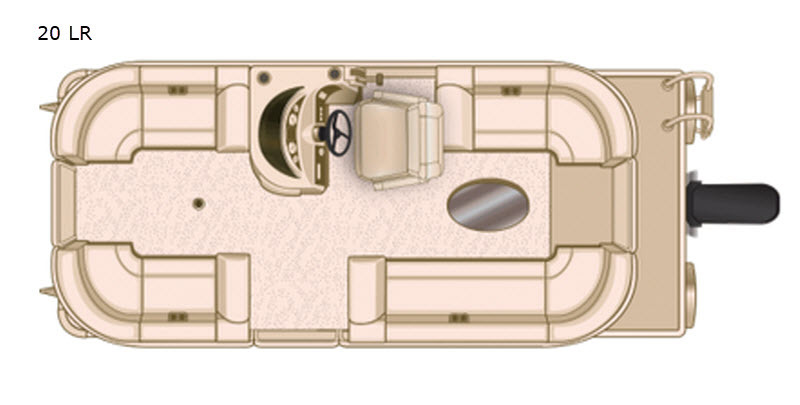 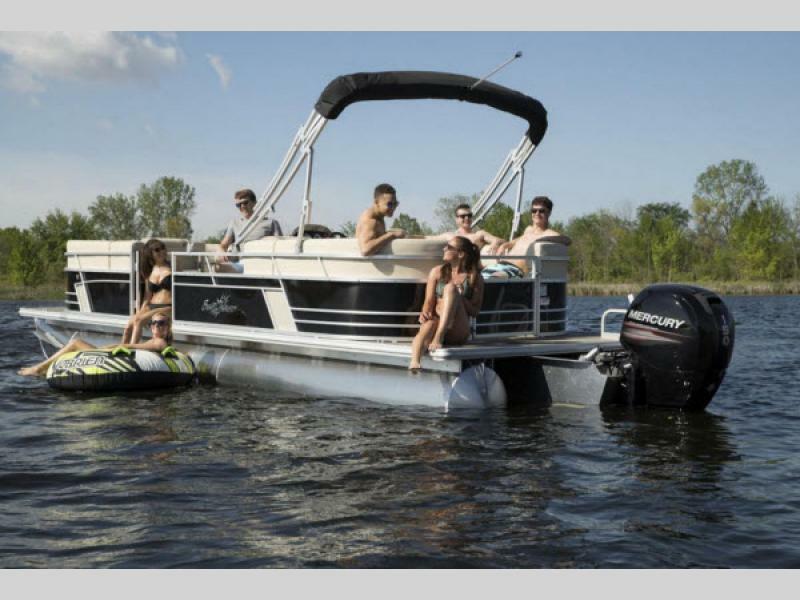 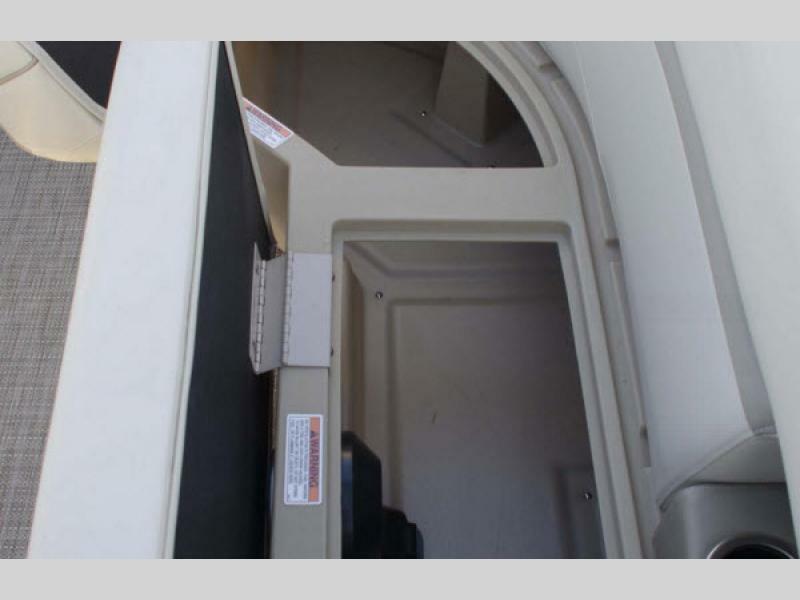 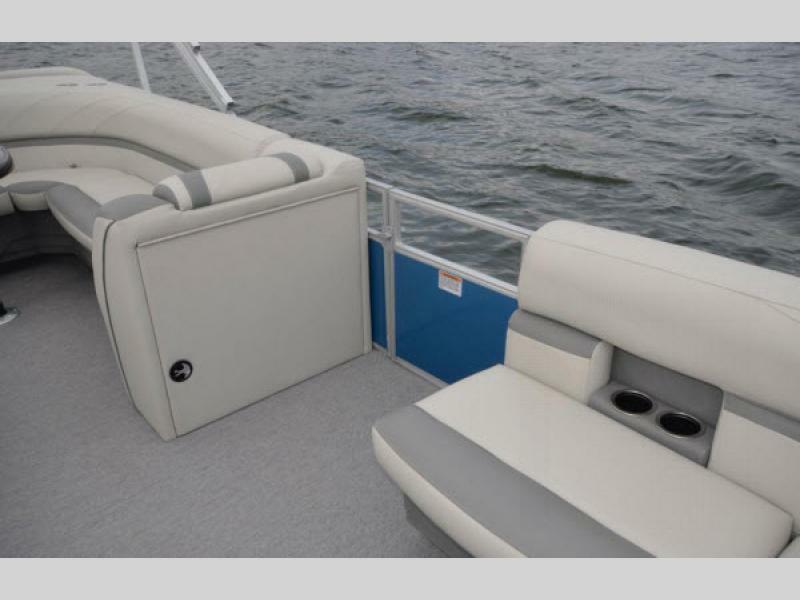 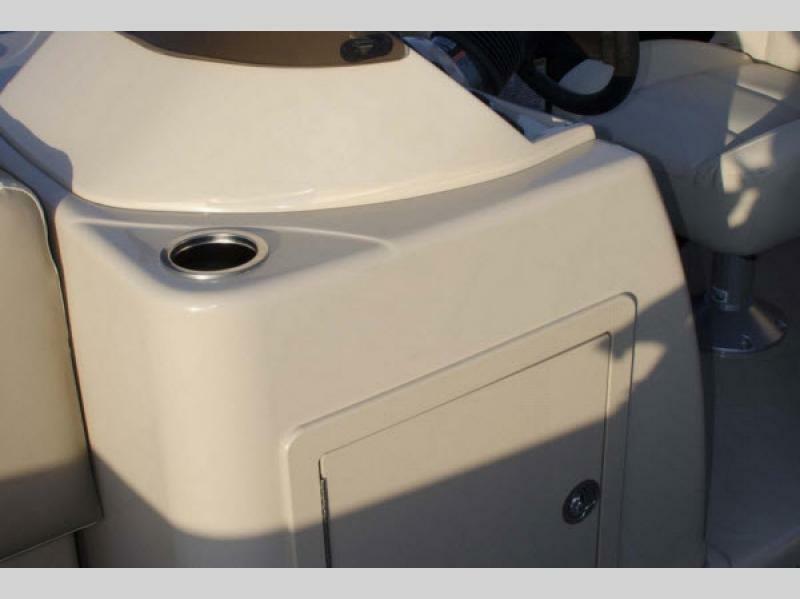 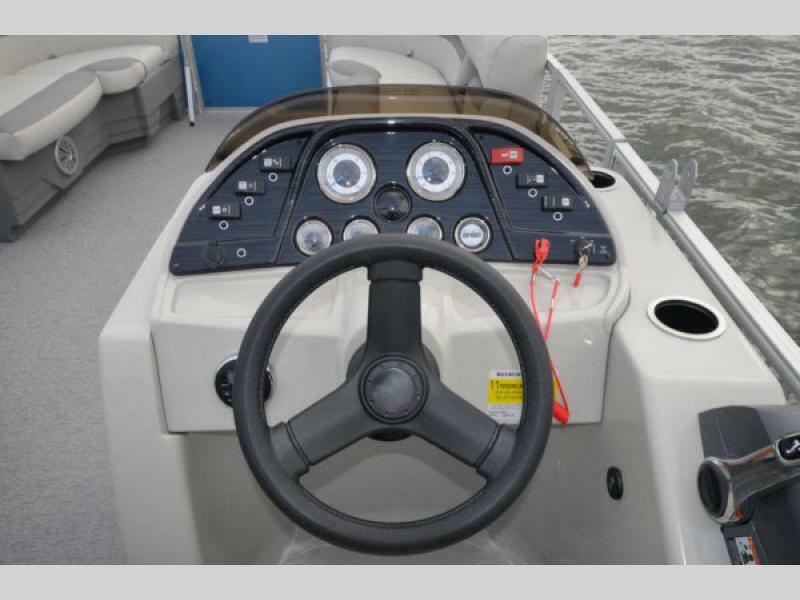 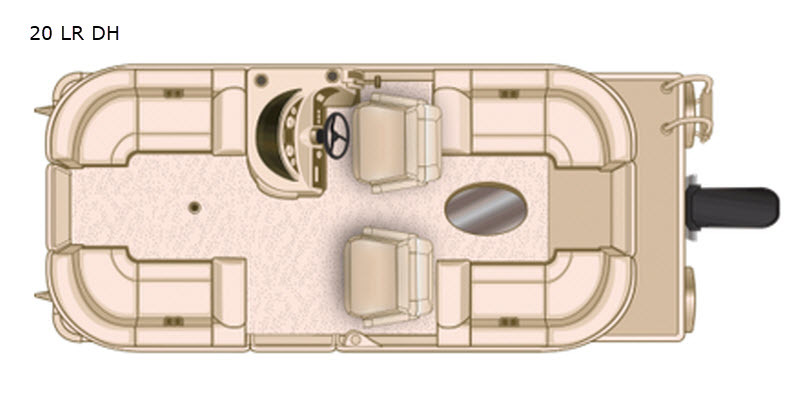 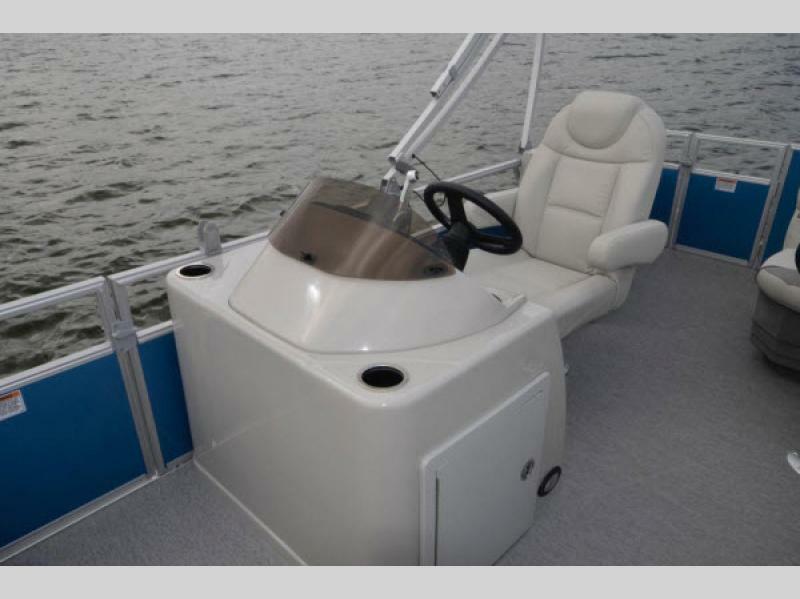 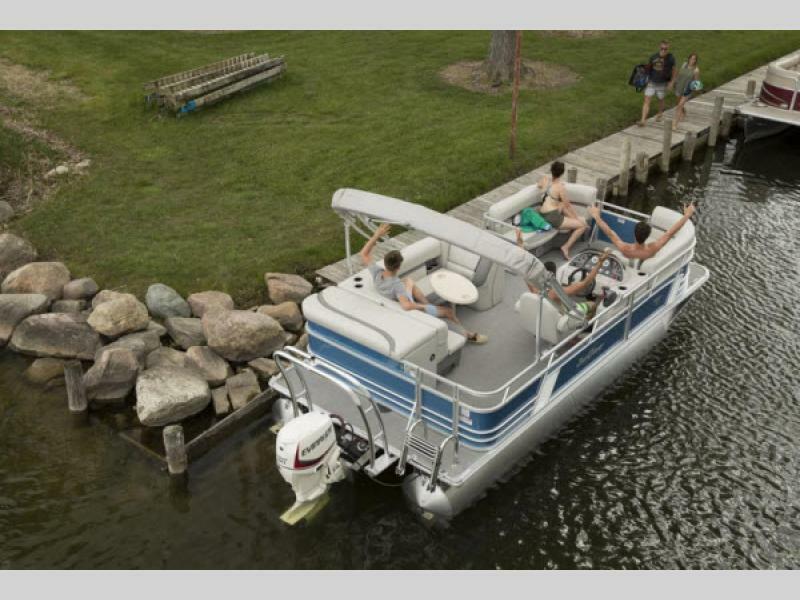 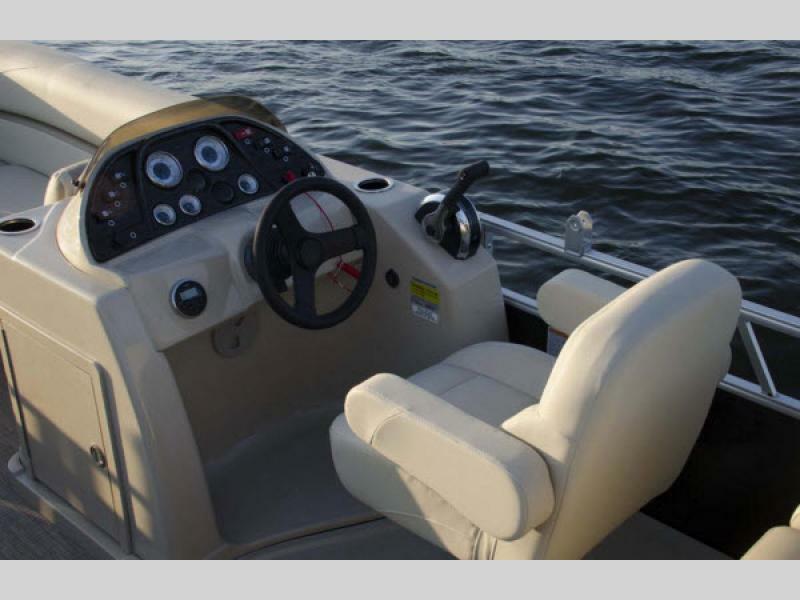 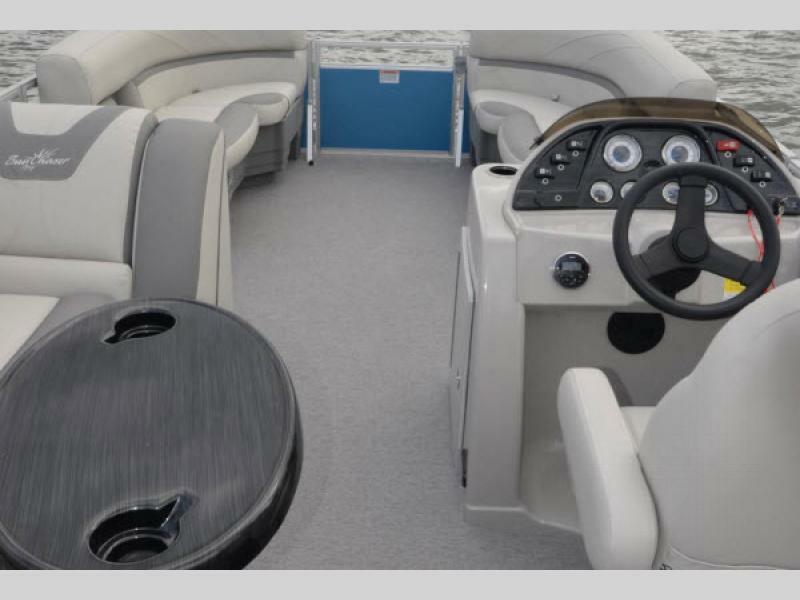 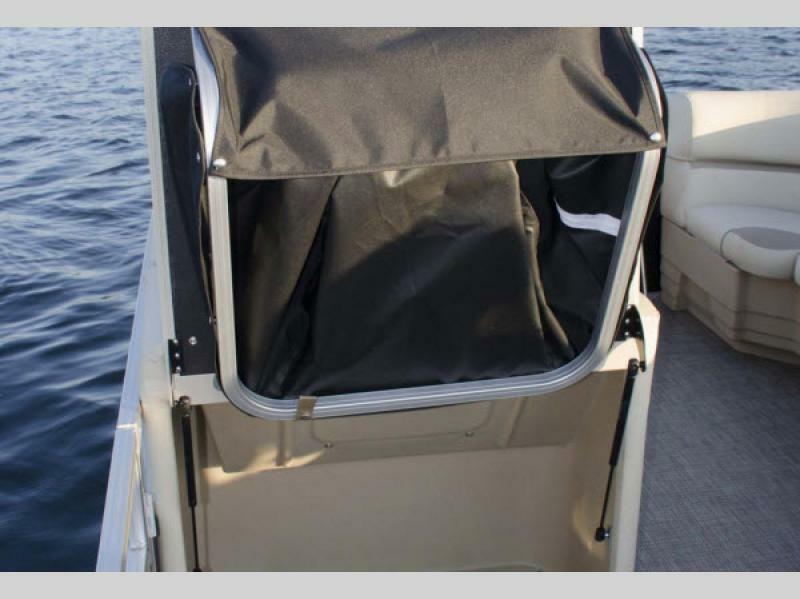 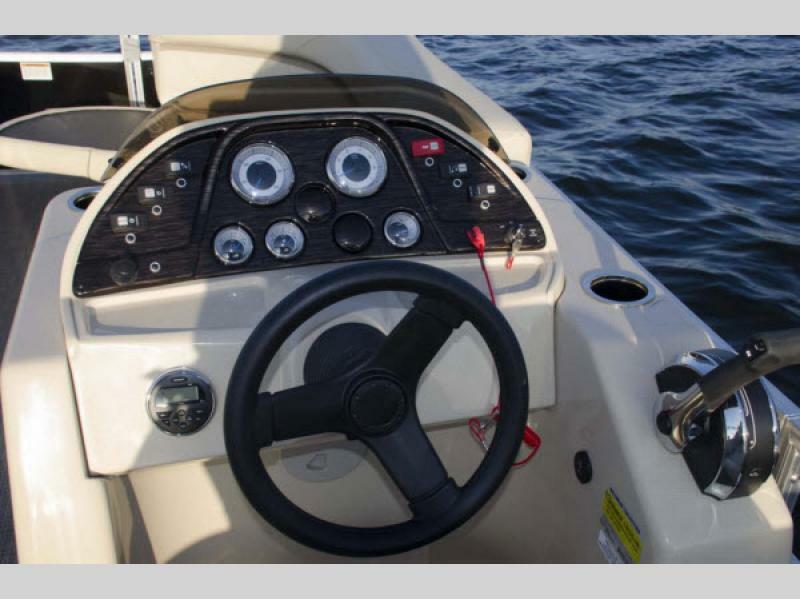 A few other key features that are sure to draw your attention is the flip-up changing room with enough space for an optional porta pottie, plush seats so now you can lounge in comfort, and the rear boarding ladder lets you get in and out of the water easily. 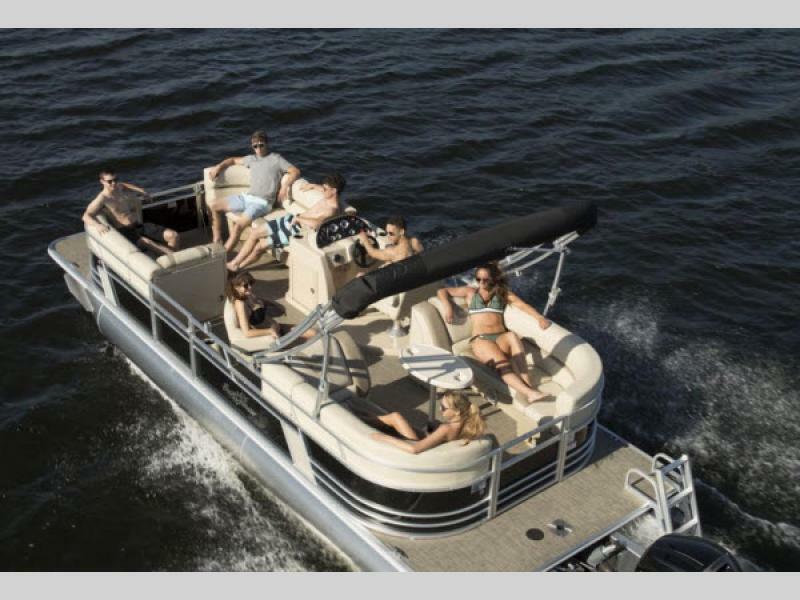 For a day of fun in the sun, what are you waiting for? 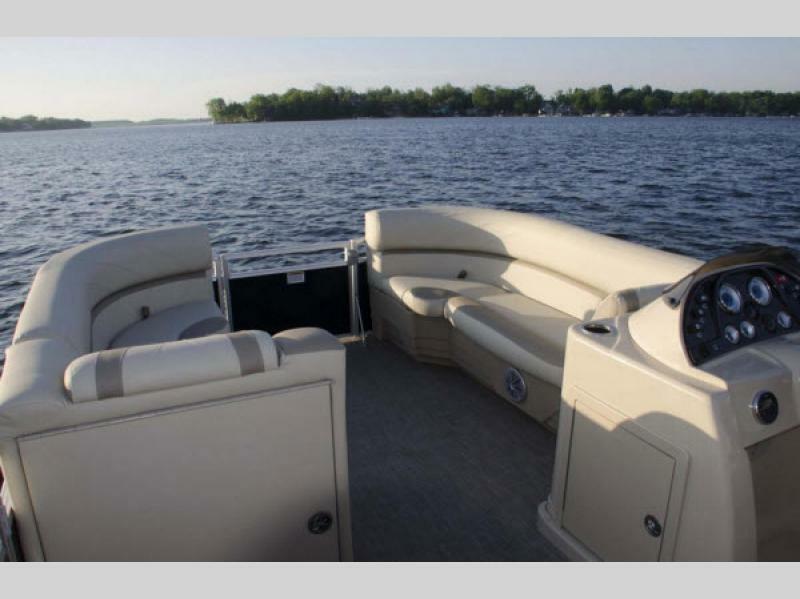 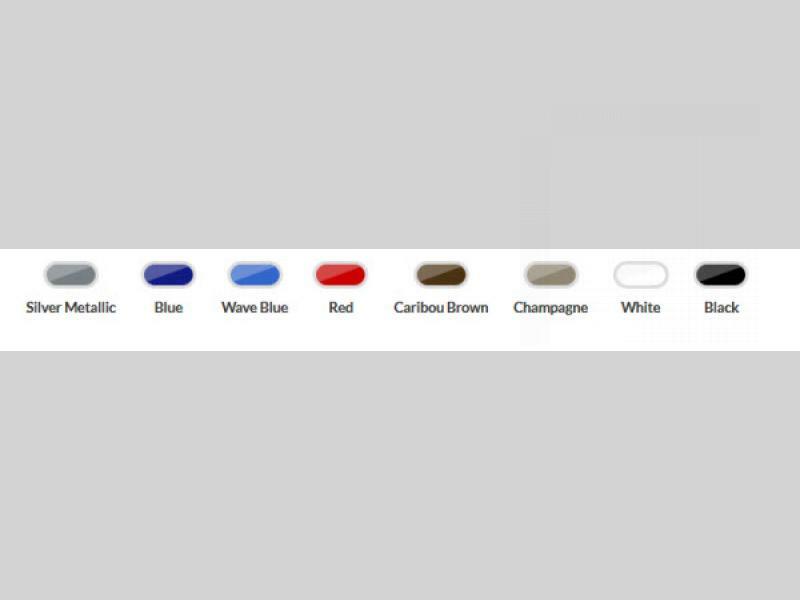 Come select a Geneva Cruise today!